“Venus in Capricorn is a grounding influence- so that the revolution (within and without) is not a flash in the pan but is deeply grounded in our being. I’m really greatful for the authentic information here. I appreciate the variety of astrologers and their illuminating insights. I am with you in spirit love and fierce opposition to the pipeline in Standing Rock. Arohanui (much love) and Kia Kaha (stay strong) from New Zealand/ Aotearoa. ♥︎♥︎♥︎ and sending lit right back to you and everyone in New Zealand/ Aotearoa. Sending blessings, love and light for Tuesday, November 15th, 2016, as you are led by indigenous groups to save Standing Rock. Much love for real success, from a feisty Scot, living in England. I noticed something in the astrology right now. Starting with the node in Virgo, there is a planet in every single house, from Virgo to Pisces. Then we have solitary Uranus, the rebel, in Aries, house #1, interacting with many of them at this full moon on the 14th. 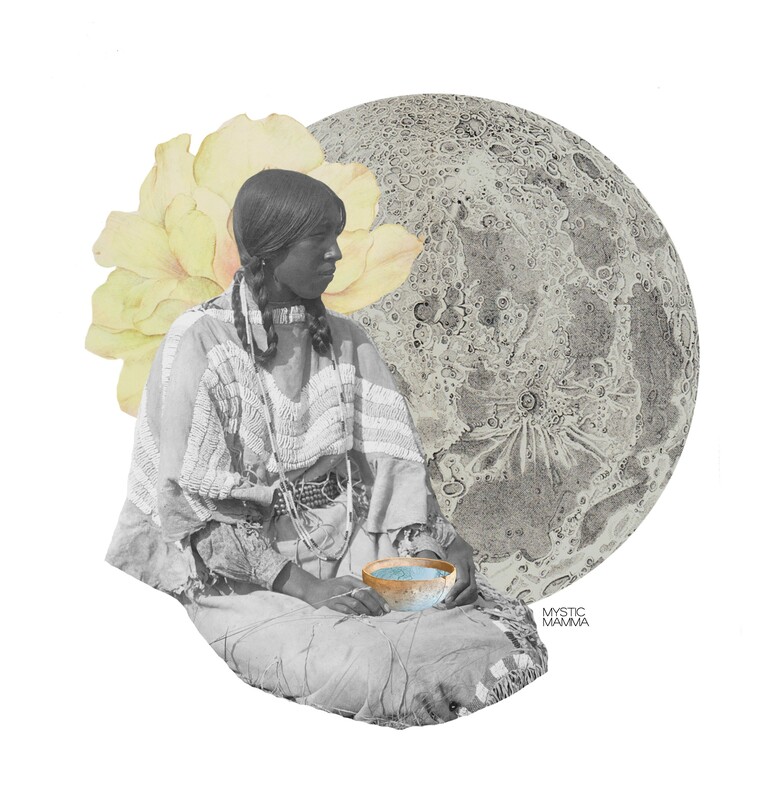 And the moon is in Taurus, getting ready to shine with this full moon. With Mars in Aquarius, it’s pulling Uranus into the mix because they are in mutual reception, in each others’ signs. And it’s interesting to note that Mars in Aquarius, the 11th house of community, groups, and friends is acting as a bridge with Uranus, in Aries, the 1st house, of self, me, and the pioneer who usually acts alone. The individual is being joined with the collective, we are now one and One, humans and the family of humanity. an interesting thing to think about for a full moon which features the moon being closest to the earth in nearly 70 years. The personal planets, that are normally in houses 1 through 6, are all on the opposite side of the zodiac, a sign of our transcendence or graduation perhaps? I like to think so. We do indeed live in exciting, transformational times. And here is Henry Selzer’s Astrograph article on this full moon, another insightful and thought provoking commentary on the energy of the times. Thank you for this compilation of information on this moon cycle – it truly was personal for me. Until I reached your plea for Standing Rock. I am of aboriginal decent, and I believe that many people do not have the big picture of this development. I am not advocating a point of view, and if I am viewing this incident from a point of what is the good for all, I come from curiosity, not blame. I come from discernment, not judgement, I come from Love, not fear. Where are your intentions? Thank you for comment and question. My intentions are of pure heart to offer help and do what I can to support the Standing Rock Sioux tribe and all the other tribes and native elders who have come together in peaceful protest to stop the construction of the Dakota Pipeline. This pipeline will carry crude oil that has been fracked, through land that is sacred to them and when the pipe break or leaks as most of them do, it would contaminate their drinking water. I am in complete solidarity with their right to defend their sacred land and water and to stand up against big government and big business against colonization and exploitation of our natural resources. They are asking for help to defend what is sacred and I and along with so many others stand in solidarity to support their mission. They need resources and they need our voices so that this becomes and issues of importance and Obama and the army corps of Engineers reject the building of the Dakota Access Pipeline. Thank you so much for your great and enlighten work ! Thank you for supporting Standing Rock and by doing so, us All ! I just bought my copy and will be so happy to have this meaningful piece in my home ! Super Moon Blessings to All and may we find peace and compassion in our hearts to manifest it in the new world we co-create for the generations to come ! Yay, YES and thank you Indiana! Thanks so much looking forward to a rich aunt life healthy strong postive spirtual. Thank you all for those valuable contributions, thoughts, knowledge and wise words at every full moon ! It is like a pilar for me each moon cycle and I find it nourishing and supporting in these so difficult but also exiting times on our planet ….may our inner peace lead to world peace ! sending endless love and strength to all the souls and beings that are suffering and in pain ,the guidance is there, allways! feeling endless gratitude ,GRACIAS A LA VIDA !!! And the moon – We have determined for it phases, until it returns [appearing] like the old date stalk.